There was a kind of sliding sound and then a rattle as a woman fell to the floor during Tuesday afternoon’s session of the Ontario Hospital Association’s HealthAchieve. When someone asked if there was a doctor or nurse in the house, a variety of arms shot up. We could have probably added a few allied health professionals too should the distressed conference attendee also need a lab test or an x-ray. If you are going to pass out, this was the place to be. Each year the OHA features a number of well-attended “candy” sessions that do more to inspire than really inform, often involving high-profile individuals. This was not one of them. In fact the five panelists joked about whom the big crowd had come out to see. There is great curiosity about the province’s new Health Links. As one person told me, the session attendance is in inverse proportion to how much knowledge there is about the subject. Given the crowded standing-room only audience that was driving up the room temperature, many wanted to know more. The trouble with LHINs Part II – How do you integrate half a system? One of the key problems with the Local Health Integration Networks was evident from the start: they were given responsibility to better integrate our health system, but couldn’t address key parts of that system. How do you integrate health care without the ability to better coordinate primary care? Physicians have always remained outside of system planning, and it could be argued that much of our system is defined by the agreement between the Ontario Medical Association and the Ministry of Health. This is totally outside the LHINs. Oddly, while Family Health Teams remain outside the LHINs, Community Health Centres are in. OPSEU has argued for years that the health system would be more efficient and cost-effective if hospital medical labs also conducted community-based work. Funding for community-based volumes would allow hospitals to increase staffing in their labs, expand scope of testing, and assist in the purchase of new equipment. For community doctors, it would result in faster turnaround of medical laboratory testing and give local physicians a direct lab contact in the community. In a comparison with some of the smallest hospital labs in the province, consultants RPO discovered that these labs were performing the same testing at two-thirds the cost of private labs. Once the hospital loses community-based work (there are only a handful left that still perform community-based testing) it is totally out of the jurisdiction of the LHINs. The North Simcoe Muskoka LHIN washed its hands of this issue when we raised it at the time Bracebridge and Huntsville hospital labs were losing their community volumes. In Owen Sound the hospital is attempting to divest speech language therapy for preschoolers to the health unit. Once it is gone, the LHIN will no longer be able to address that service given health units are out of its jurisdiction. Who will monitor outcomes once that service is transferred? What happens if it turns out the hospital was the better host for the service, or perhaps another community-based agency? Who hold the health unit to account? Within the LHIN jurisdiction, integrations are often about moving services around rather than facilitating strong links between health providers. Integration shouldn’t just be about moving services from provider A to provider B and C.
As the Central East LHIN recently recognized, two addictions services don’t need to merge in order to cooperate on strategic goal setting. While it has been orthodoxy to move services out of hospital, the LHIN recognized the role of Lakeridge Health in maintaining one of these two addiction services. The LHINs have consistently drawn a line between hospitals and community-based agencies, but hospitals do exist within communities. If a hospital is to provide community-based services, would it not by its very nature integrate well with other in-hospital services? What role does prevention play? Not only is health promotion outside the jurisdiction of the LHINs, it is completely outside the Ministry of Health and Long Term Care. We know, for example, that a more active population would dramatically reduce diabetes costs. One estimate suggests that if we were to bring diabetes down to the same level of northern European countries Canada could save $6 billion a year in health costs. It’s true the LHINs do have contact with health providers outside their jurisdiction. But it has no ability to evaluate the quality of the work done by these providers, or whether the services they provide might be better delivered somewhere else. Nor does a friendly contact necessarily compel these providers to work more closely with hospitals, mental health agencies, home care or long term care homes. The idea behind the LHINs was to make our health system just that – a system. Some say five years is not long enough to get the job done. But what significant changes have the LHINs really made to date? How long will it take to see a system emerge from the disparate entities that presently deliver public healthcare? Are we expecting too much from bodies appointed to manage when what we really need are signs of bold leadership? Is this even possible within a LHIN model? And where does the accountability lie? At present everything leads to the Minister of Health. Should it not also lead back to the communities? Everybody has a shopping list of how we could do better. While our system is in the middle of the pack with regards to cost, there is no question that we could do better from an organizational point of view. Our LHIN discussion series continues. There is no question the Local Health Integration Networks have had their share of problems. When they were first proposed in 2005, OPSEU warned that it would lead to a rationalization of health care services and shield the politicians from unpopular decisions. To a degree, both concerns have turned out to be true. One of the few promises provincial Tory leader Tim Hudak has made is to scrap the LHINs. The Tories say it would save $250 million, however, that is the total cost of the LHINs since 2006, not the annual cost. At present the LHINs take about $70 million per year to administer. On a $47 billion health budget (about half of which is within the jurisdiction of the LHINs) that’s a very small percentage allocated for administration. If Hudak were to scrap the LHINs, he would not even save the $70 million. The LHINs replaced seven regional Ministry offices and 16 District Health Councils which previously cost $48 million. With inflation, the costs would likely remain equivalent to the LHINs if Hudak were to turn the clock back. But Hudak says he would not replace the LHINs, he would simply cut them. We’re not sure how that would work, and likely neither does Hudak. Dismantling the LHINs would not be free, as we discovered in the transition from District Health Councils and Regional Offices to LHINs. Costs ranging from broken leases to severance costs would be borne by government. Then there is the cost of transitioning the work. Hudak doesn’t say what existing infrastructure would absorb the LHIN work, from planning and accountability to public engagement and integration. Is he actually suggesting we don’t need these functions? The recommendations of the Health Restructuring Commission once dominated Ontario’s health care policy-making. Those recommendations are now more than a decade old. The data by which they came to their conclusions is closer to two decades old. There is a need to gather new evidence and make sound decisions around the future of our health system. If we are to move forward we really have two choices – reinvent the existing LHINs, or come up with a new structure altogether. Both have their pros and cons. Unfortunately the McGuinty government never followed-through on the requirement in the Local Health System Integration Act to conduct a review of the LHINs after five years. That would be now. Neither did McGuinty ever produce the provincial plan that was supposed to be the guiding direction for the LHINs. Instead the LHINs scramble to fulfill whatever priority whim is the flavour of the day at Queen’s Park. Nowhere was this clearer than in the province’s focus on alternate level of care. While the LHINs were making plans to utilize their aging at home funding, the Ministry changed its mind and suggested that at least half that money be devoted to getting ALC patients out of hospital. 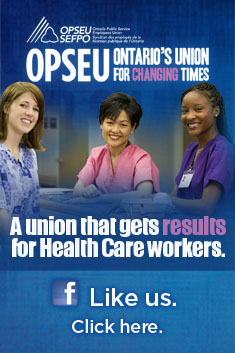 Regardless of who gets elected, it is likely the LHINs will look very different after the October provincial election.